Kodak's legal team have turned their guns on two huge names in the mobile world, HTC and Apple. The two companies have allegedly committed infringement on a number of Kodak-owned patents and the issues in question affect a vast number of both companies smartphones and tablets. Eastman Kodak filed a complaint with the US International Trade Commission (ITC) and the US District Court for the Western District of New York yesterday. The infringements which affect both HTC and Apple include patents related to the technology used in transmitting images. There are four patents in question here, including "automatically transmitting images from an electronic camera to a service provider using a network configuration file" and "capturing digital images to be transferred to an email address". These patents relate to services you no doubt identify with on a number of existing smartphones, including many other manufacturers' Android devices besides the likes of HTC, but Kodak have already licensed such patents to a number of these companies, many of which you'll recognize, including LG Electronics, Motorola, Samsung Electronics and Nokia. Such legal action takes places only after Kodak had previously tried to hold numerous discussions with both the offending companies, however these talks apparently failed to lead to an agreement. Despite this Kodak say their aim isn't to disrupt the availability of HTC's or Apple's products, but simply to receive "fair compensation for the unauthorized use" of its technology. Presently neither company have agreed to comment, HTC first stating that they will review the complaint before issuing any official response. HTC in particular have already become entangled in another Kodak-owned patent regarding a method of previewing images and Apple are not far behind with actions against them still 'pending'. 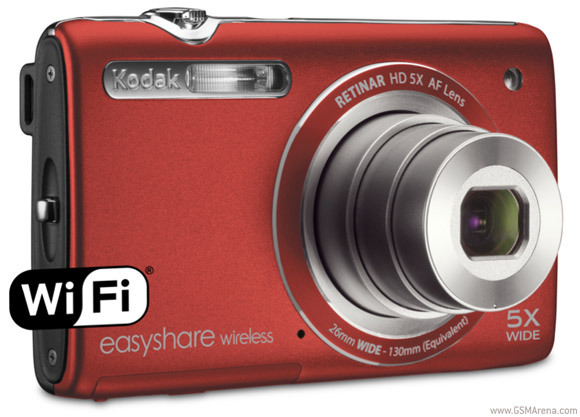 Some of the technology involved in these possible lawsuits is actually being showcased at CES 2012 in the form of two new cameras from Kodak, the Kodak EasyShare M750 with its WiFi sharing capabilities and the hybrid Kodak Playfull Dual Zi12: Pocketable Camera-Camcorder Hybrid. It's no secret that Kodak aren't in the best financial state right now, with the the company intending to remove itself from the New York Stock Exchange altogether based on a notice filed with the US Securities and Exchange Commission on January 3rd 2012. Patents have proven to be an extremely valuable asset and there can be a lot of money on the line in patent infringement cases, so it's no surprise that companies so frequently cross legal swords with each other (look at the activity last year between Apple and Samsung for a perfect example). Kodak know that right now more than ever, they must protect their patents. The company have warned that unless they are able to sell enough of these digital image patents during 2012, they could well be headed for bankruptcy, a sad prospect for a company that has been in the imaging business for 131 years and undoubtedly been a staple brand for many of us in that time as well.